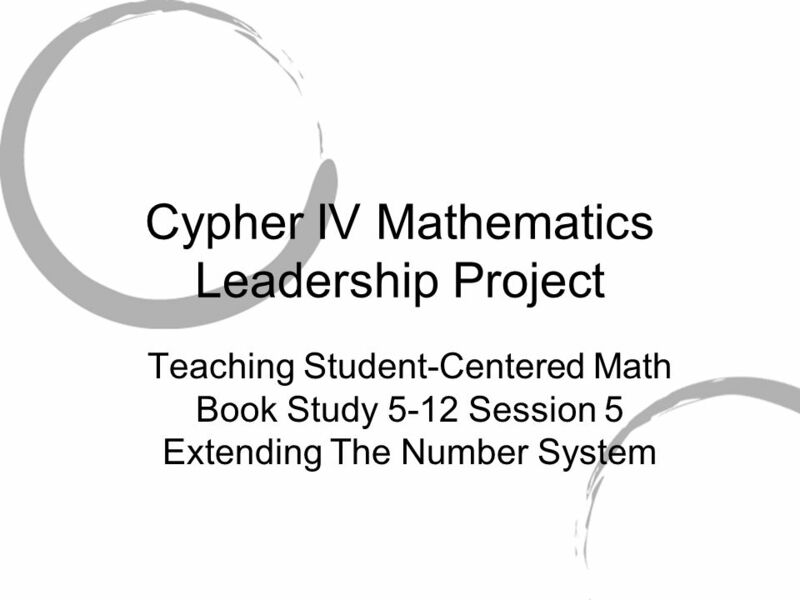 Cypher IV Mathematics Leadership Project Teaching Student-Centered Math Book Study 5-12 Session 5 Extending The Number System. 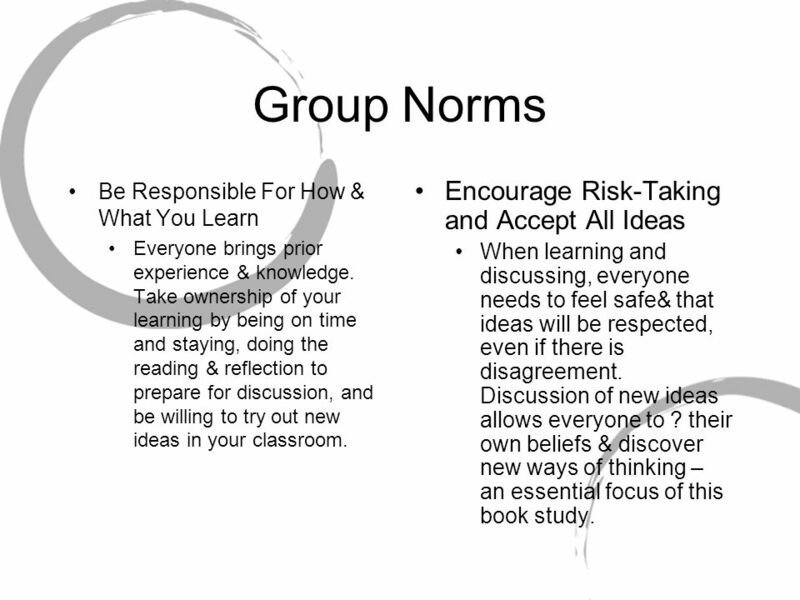 3 Group Norms Be Responsible For How & What You Learn Everyone brings prior experience & knowledge. Take ownership of your learning by being on time and staying, doing the reading & reflection to prepare for discussion, and be willing to try out new ideas in your classroom. Encourage Risk-Taking and Accept All Ideas When learning and discussing, everyone needs to feel safe& that ideas will be respected, even if there is disagreement. Discussion of new ideas allows everyone to ? their own beliefs & discover new ways of thinking – an essential focus of this book study. 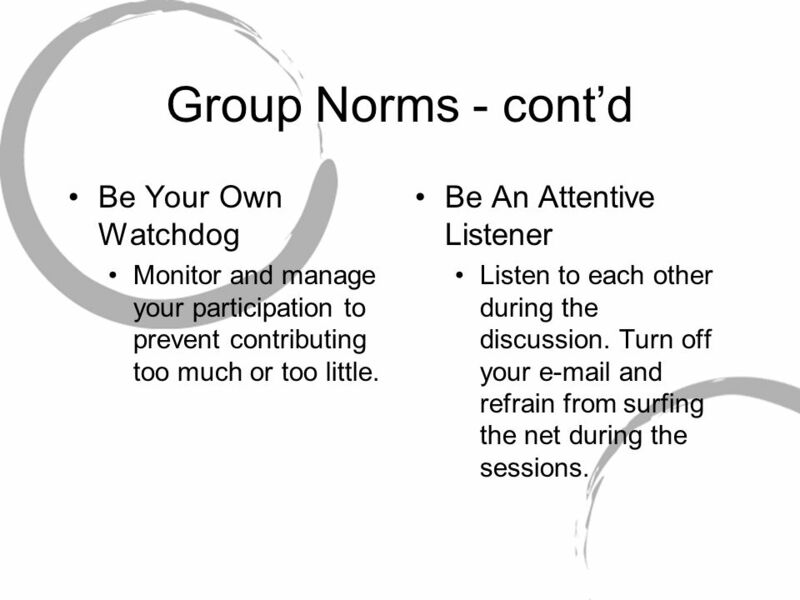 4 Group Norms - contd Be Your Own Watchdog Monitor and manage your participation to prevent contributing too much or too little. Be An Attentive Listener Listen to each other during the discussion. 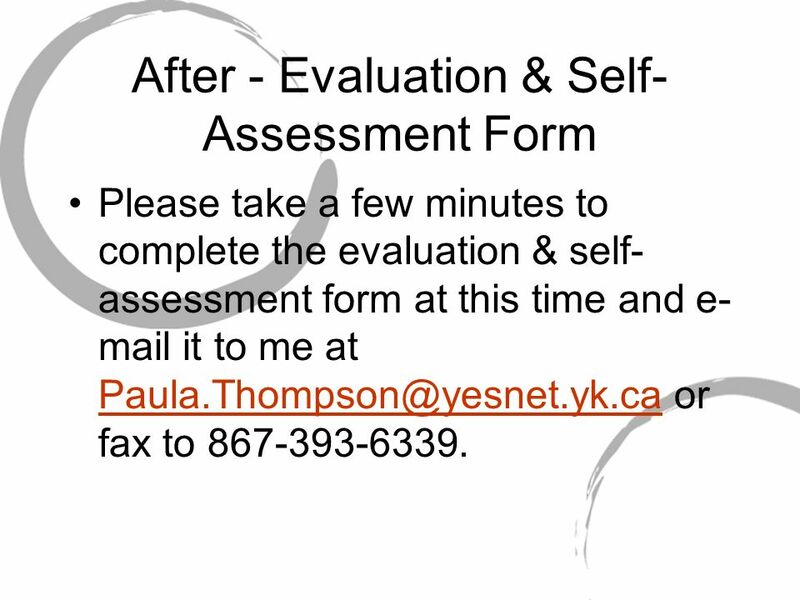 Turn off your e-mail and refrain from surfing the net during the sessions. 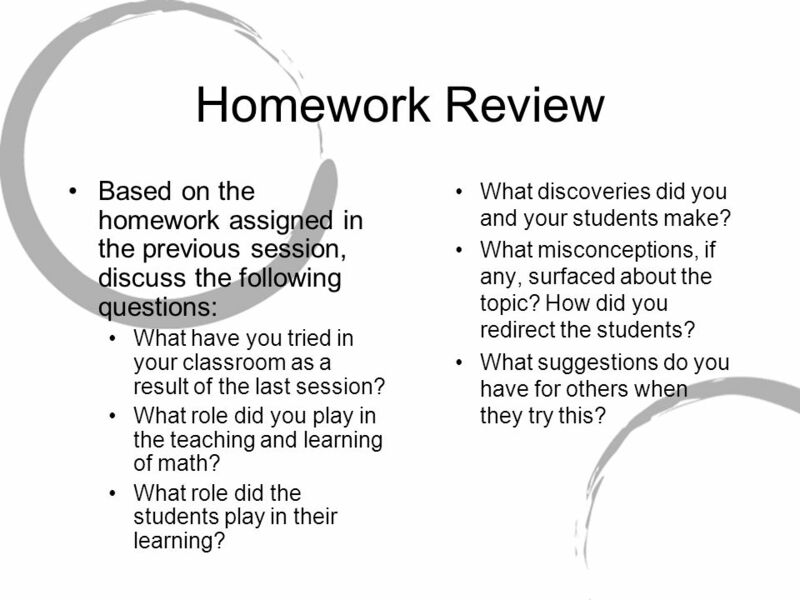 5 Homework Review Based on the homework assigned in the previous session, discuss the following questions: What have you tried in your classroom as a result of the last session? 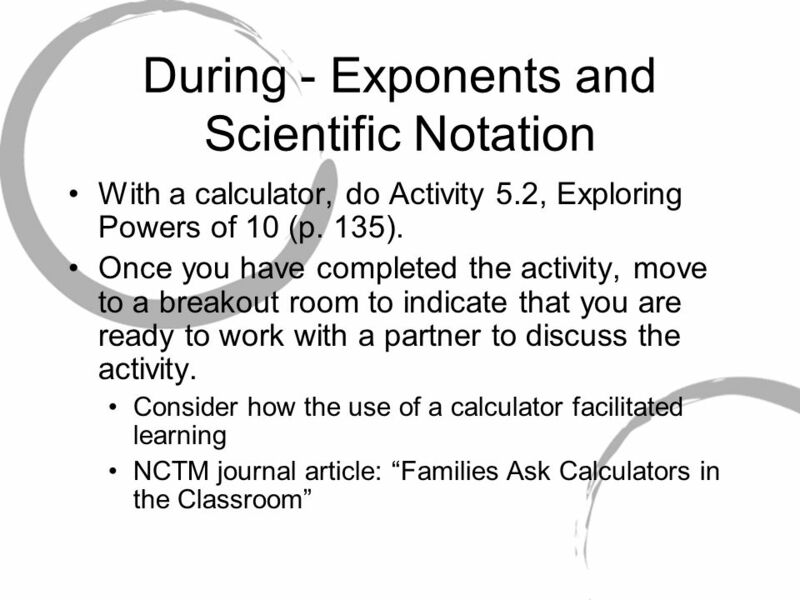 What role did you play in the teaching and learning of math? 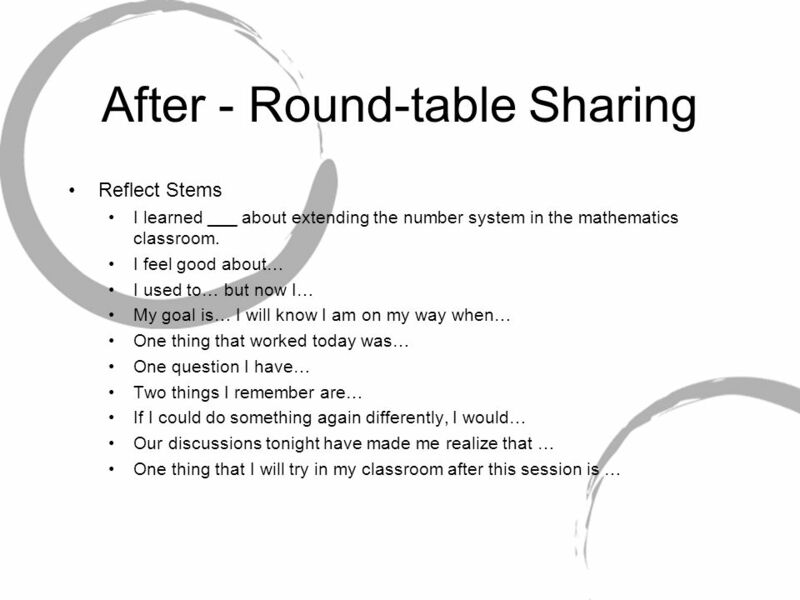 What role did the students play in their learning? What discoveries did you and your students make? What misconceptions, if any, surfaced about the topic? How did you redirect the students? 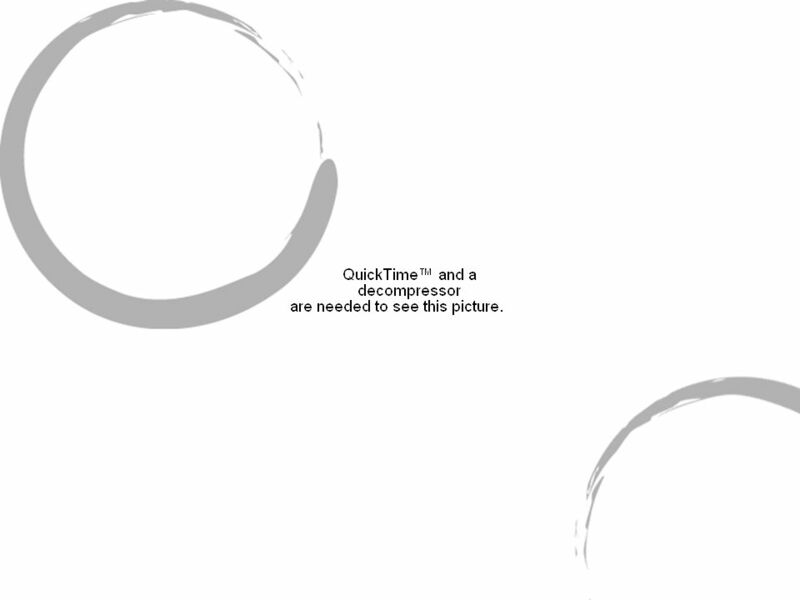 What suggestions do you have for others when they try this? 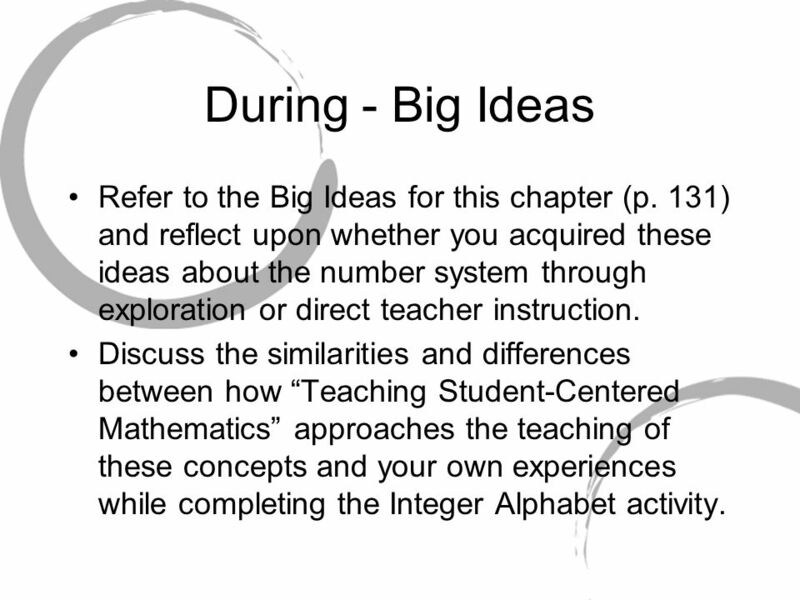 10 During - Big Ideas Refer to the Big Ideas for this chapter (p. 131) and reflect upon whether you acquired these ideas about the number system through exploration or direct teacher instruction. 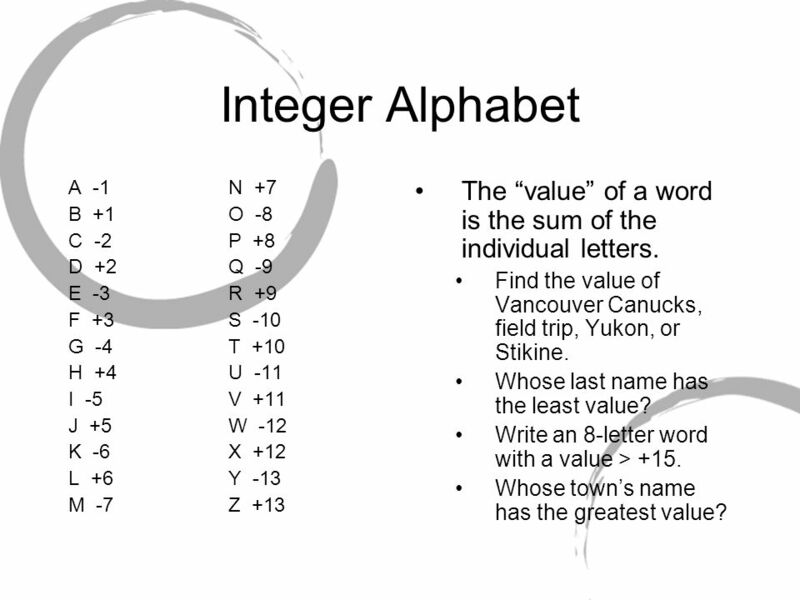 Discuss the similarities and differences between how Teaching Student-Centered Mathematics approaches the teaching of these concepts and your own experiences while completing the Integer Alphabet activity. 11 Integer Alphabet A -1N +7 B +1O -8 C -2P +8 D +2Q -9 E -3R +9 F +3S -10 G -4T +10 H +4U -11 I -5V +11 J +5W -12 K -6X +12 L +6Y -13 M -7Z +13 The value of a word is the sum of the individual letters. Find the value of Vancouver Canucks, field trip, Yukon, or Stikine. Whose last name has the least value? Write an 8-letter word with a value > +15. Whose towns name has the greatest value? 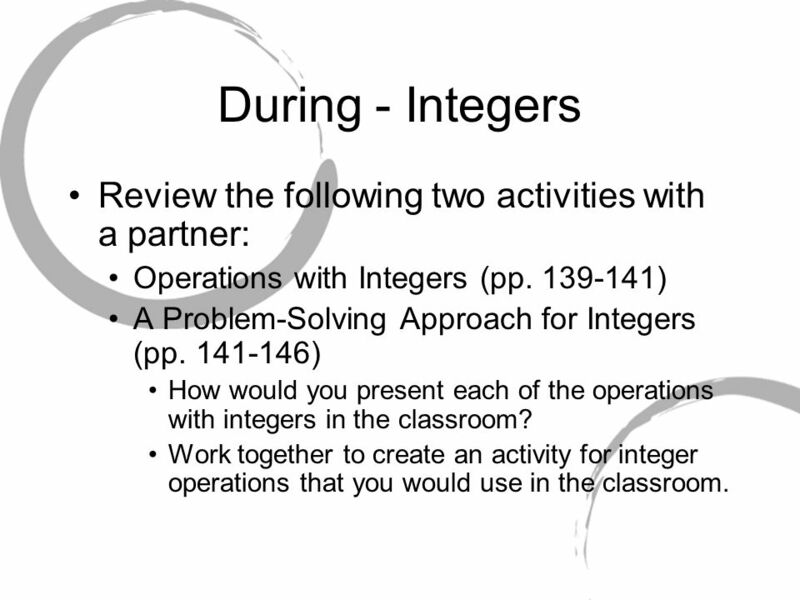 14 During - Integers Review the following two activities with a partner: Operations with Integers (pp. 139-141) A Problem-Solving Approach for Integers (pp. 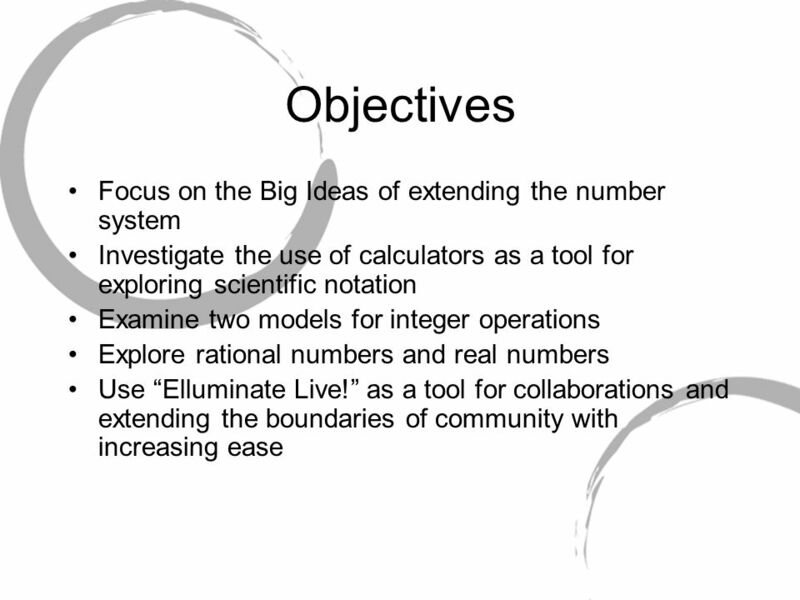 141-146) How would you present each of the operations with integers in the classroom? 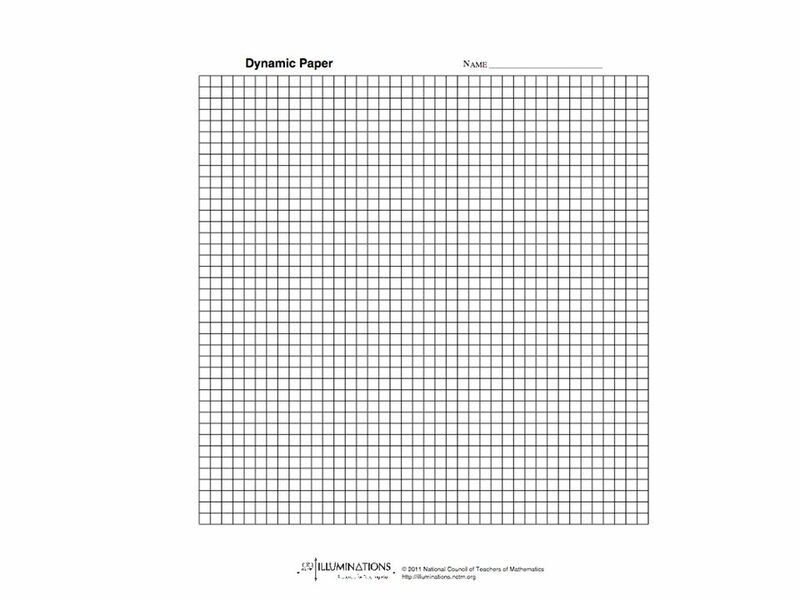 Work together to create an activity for integer operations that you would use in the classroom. 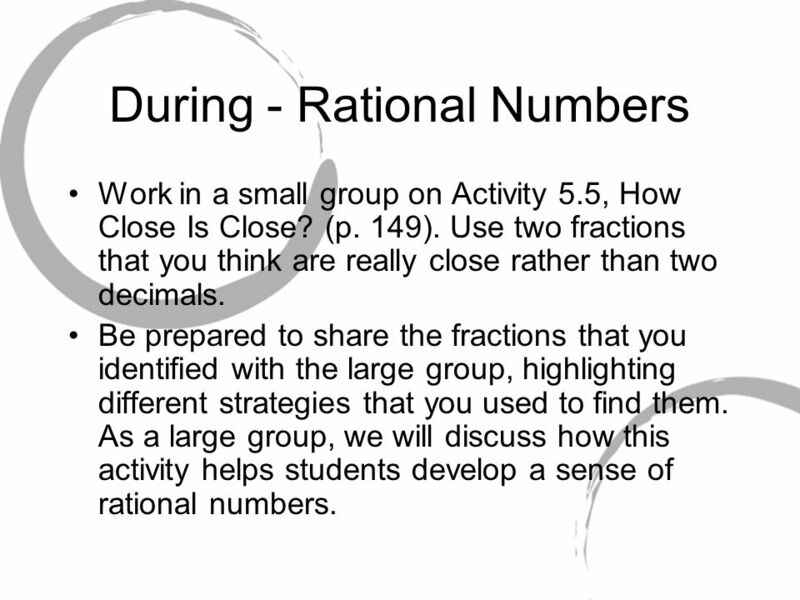 21 During - Rational Numbers Work in a small group on Activity 5.5, How Close Is Close? (p. 149). Use two fractions that you think are really close rather than two decimals. 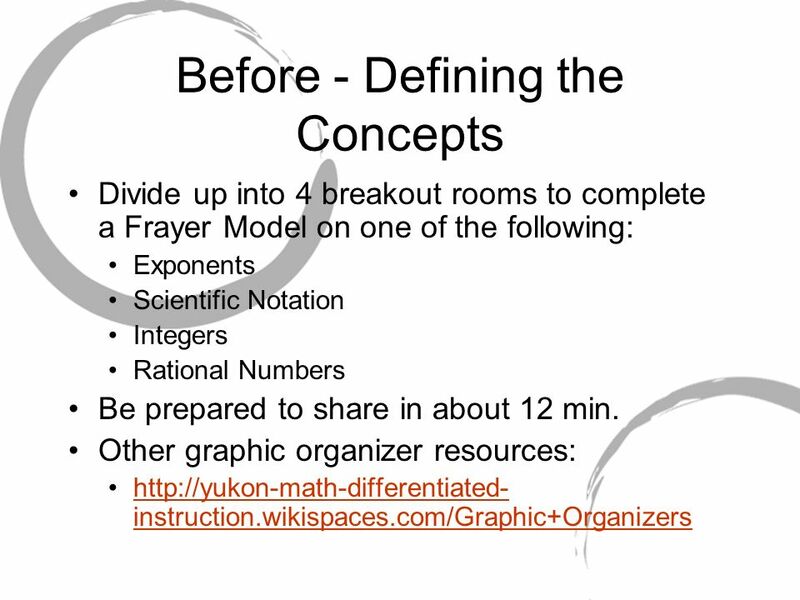 Be prepared to share the fractions that you identified with the large group, highlighting different strategies that you used to find them. 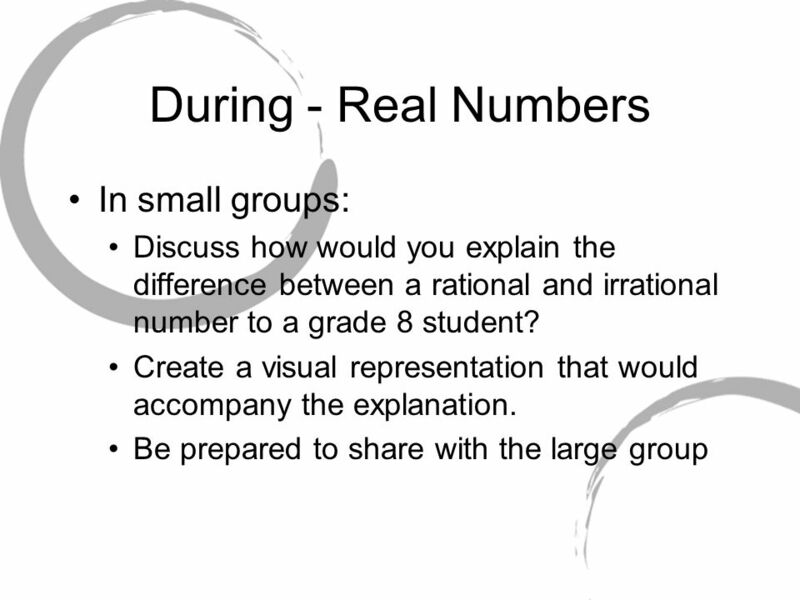 As a large group, we will discuss how this activity helps students develop a sense of rational numbers. 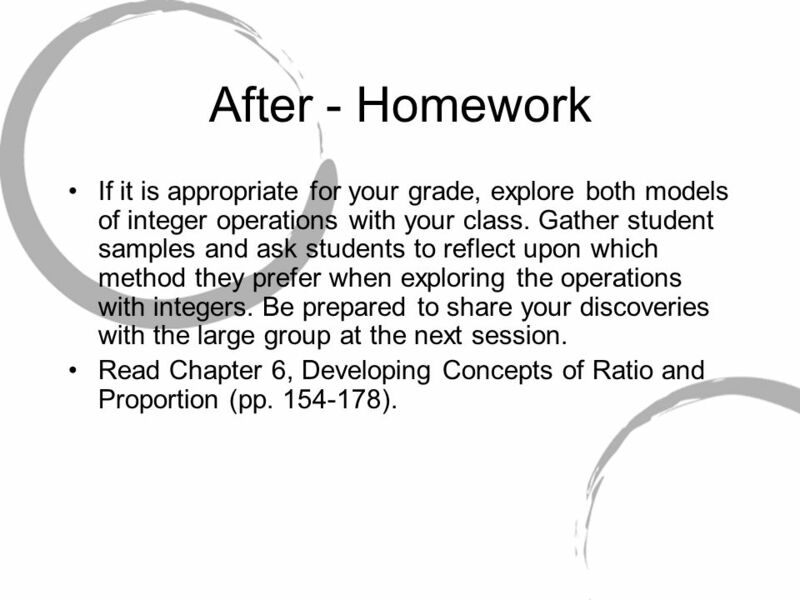 25 After - Homework If it is appropriate for your grade, explore both models of integer operations with your class. 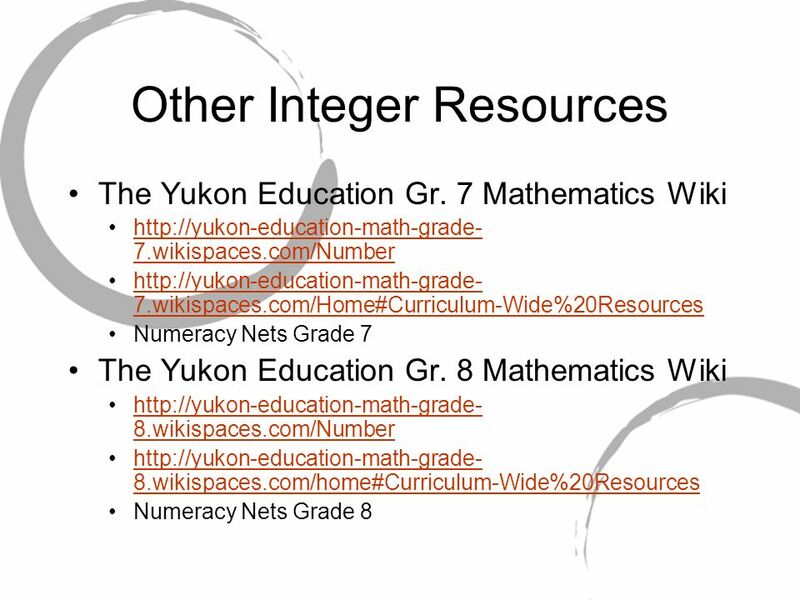 Gather student samples and ask students to reflect upon which method they prefer when exploring the operations with integers. Be prepared to share your discoveries with the large group at the next session. Read Chapter 6, Developing Concepts of Ratio and Proportion (pp. 154-178). 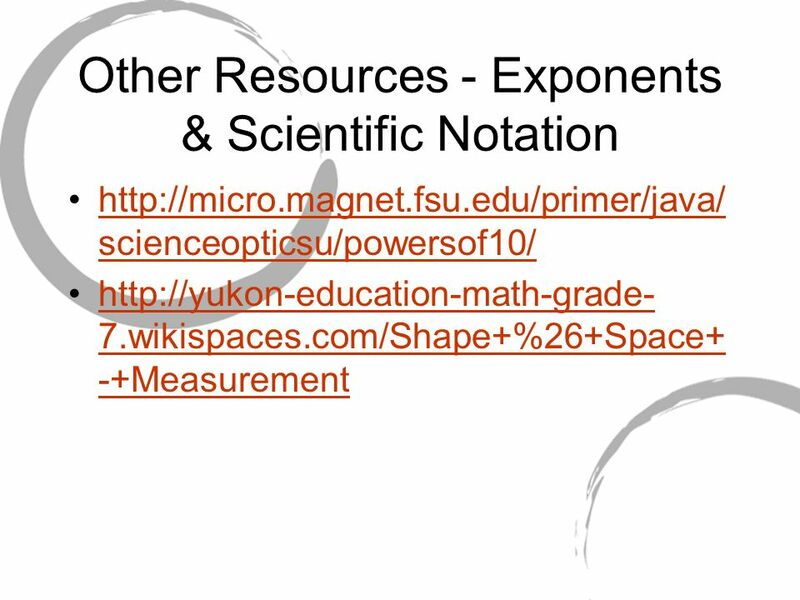 Download ppt "Cypher IV Mathematics Leadership Project Teaching Student-Centered Math Book Study 5-12 Session 5 Extending The Number System." Audio Please run the Audio Setup Wizard right now –Find Tools Audio Audio Setup Wizard –And carefully read each screen as you work through the wizard Do. 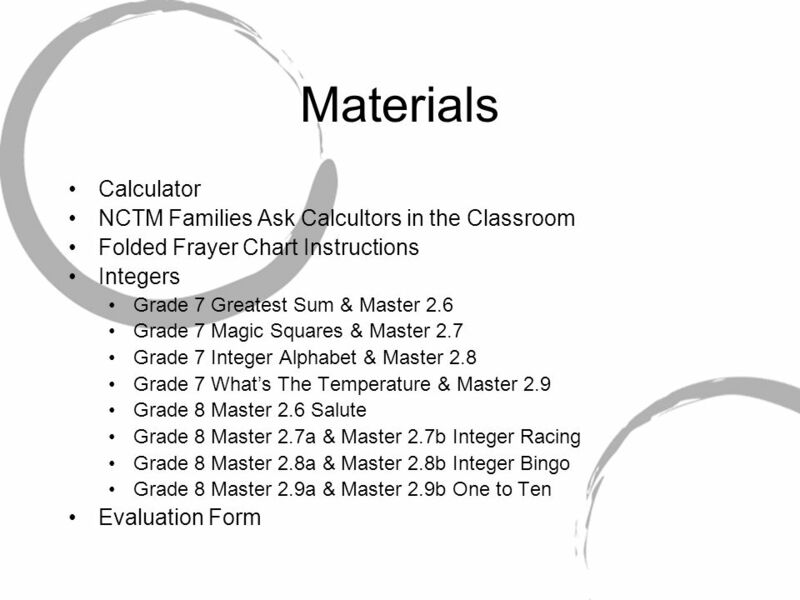 Cypher IV Mathematics Leadership Project Teaching Student-Centered Math Book Study K-3 Session 4 & 3-5 Session 3 Helping Children Master The Basic Facts. Cypher IV Mathematics Leadership Project Teaching Student-Centered Math Book Study K-3 Group Session 3 Developing Meaning For The Operations & Solving. Cypher IV Math Leadership Project K-3 - Session 2 - Developing Early Number Concepts and Number Sense. 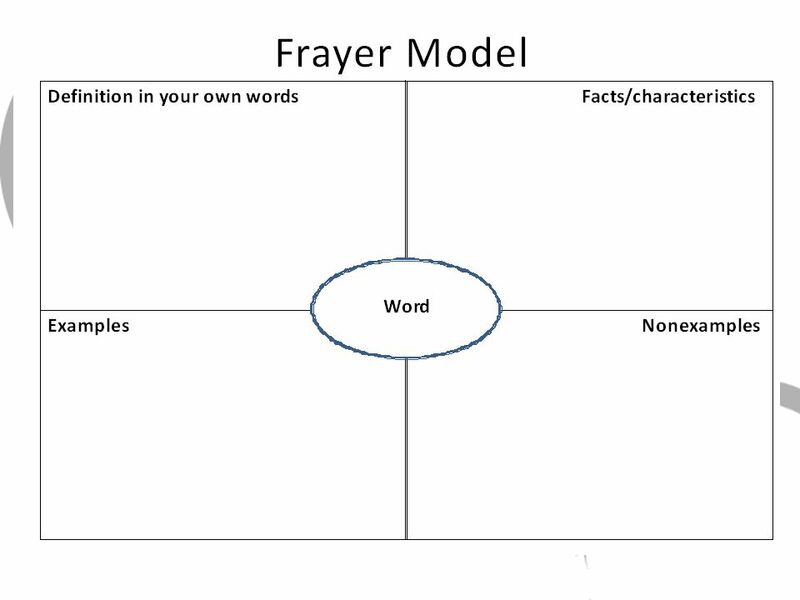 Cypher IV Mathematics Leadership Project Teaching Student-Centered Math Book Study 5-12 Session 6 Developing Concepts of Ratio & Proportion. 2008 May 31Standards PD: Day 1 afternoon: slide 1 Goal for the Afternoon Identify content specific to each grade band and each grade level. HDSBs (Elementary) Math Direction Ruth Teszeri Instructional Program Leader. Provincial Report Cards Mathematics Grades 1 to 12. WORKPLACE & APPRENTICESHIP 10 WORKSHOP June 22 nd /28 th, 2010. ACT IX Cohort Facilitator: Sohael Abidi October 3 rd, 2008 Day # 1. Introduction to Pre-calculus Math.  Confidently solve problems  Communicate and reason mathematically  Increase mathematical literacy  Make connections. 1 Math CAMPPP 2011 Math at the Beach!!! Grade 5-8 Sandra Fraser Erik Teather. 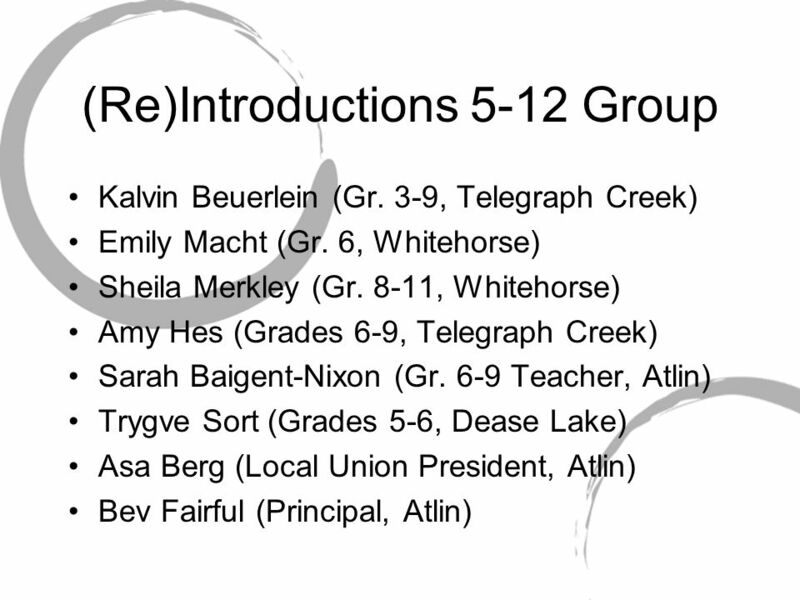 Implementing the New Mathematics Integrated Resource Package (IRP) British Columbia Ministry of Education Webcast - April 5, 2007. MATH COMMUNICATIONS Created for the Georgia – Alabama District By: Diane M. Cease-Harper, Ed.D 2014.